Seri Alto Truesonic TS3 dirancang dengan driver frekuensi yang rendah sehingga mampu mengeluarkan suara yang keras dan memberi tenaga yang kuat dari pada pendahulunya Alto TRUESONIC TS-2. TS-3 sudah didukung dengan kontrol panel dan indikasi kontrol yang lebih jelas dan detents yang membuat pengaturan yang lebih cepat dan tepat. Speaker Monitor Lantai Yamaha A12MYamaha Seri A didesain khusus untuk monitor speaker live. Speaker 2-way dengan Bass Reflex, desain trapezoid, grill yang kuat, pegangan dan lapisan karpet.Yamaha A12M memiliki woofer 12", horn 1", daya 300W (500W Peak) dan 125dB SPL.---------------------------------.. EV ETX-15P 15" Two-WayAt the heart of the EV ETX line is the ETX-15P. 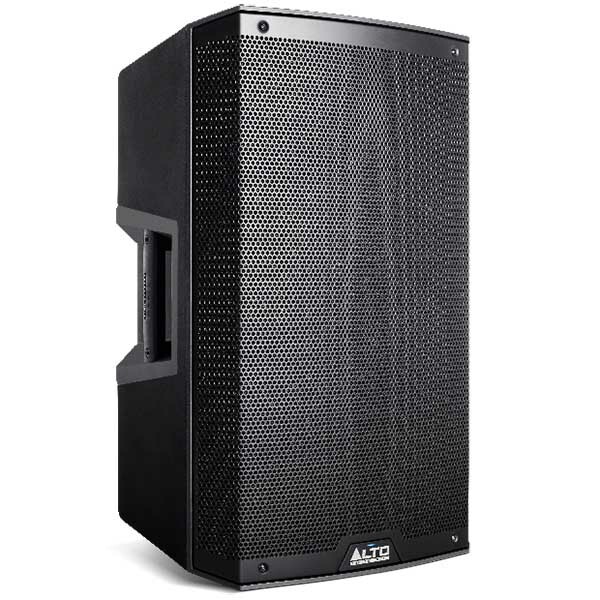 The most common configuration for bands and DJs is the 15 in. woofer and high-frequency horn horn built into a single enclosure. This is the ETX line's iteration of this popular, time-tested design. A 15 in. speaker can reproduce ..
Focusrite Scarlett 2i4 USB Audio InterfaceThe Focusrite second-generation Scarlett 2i4 USB audio interface gives you a superb recording front end in a portable interface. Two award-winning Focusrite mic/line/instrument preamps are onboard, with their convenient combo inputs right on the front panel ..
L2400 - 24-Channel/4-Bus Professional Mixing ConsoleA sound engineer should have the same relationship with his console that a musician has with his instrument: they should both be intuitive and comfortable in any situation. This was a major design goal during the two-year development of our L2400 m..